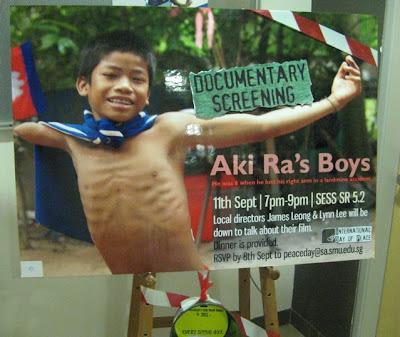 Our second best screening of Aki Ra’s Boys, ever. The best, was of course, the one we had for the kids at the Landmines Museum. They came, they munched on hotdogs, they totally got all the jokes in the film, and then after that they asked some very insightful questions. Boy, do we love a smart audience. Big thank you to Hazel and Shawn at SMU for the invite. Post-show, we had lots of people coming up to ask us about the practicalities of documentary filmmaking. 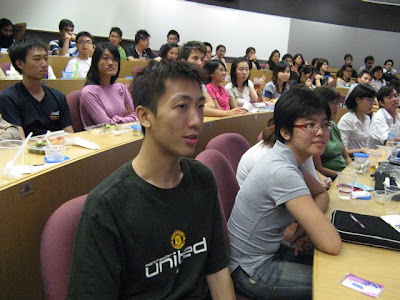 How did we get started? How on earth do we keep doing what we do? Funny. We’ve been receiving emails along similar lines lately. Short answer: get a camera, go out, do it, keep doing it. Long answer… we’re still thinking through the long answer. Watch this space.